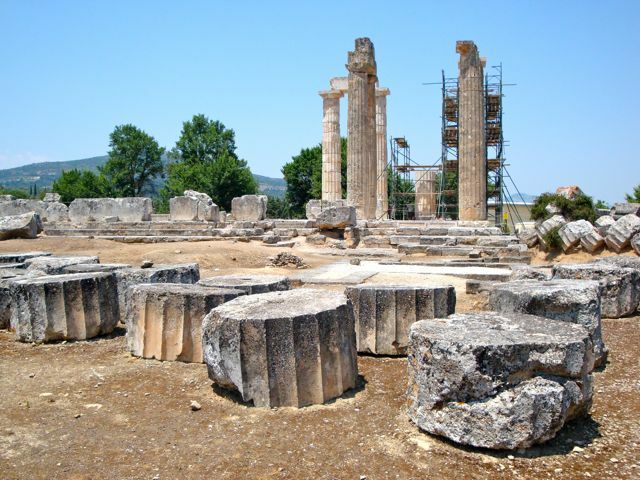 If tourists only knew about Nemea it would be on the itinerary of every traveler to the Peloponessos. It would also be a popular day trip from Athens for every lover of antiquity and Greek wine. There are few places in Greece that combine Ancient Greek temples with what feels a lot like the Napa Valley of California. Throw in a trip to the endless beaches of the nearby Corinthian Gulf and lunch at a seaside taverna, and maybe a stop at Ancient Corinth and Acrocorinth and you have it all: archaeology, sea, fresh fish, Saint Paul and wine. Lots of wine. Getting to Nemea is easy even for those who don't have a car or can't afford a taxi. Just take the KTEL bus from Athens that goes to the modern town of Nemea and get off a Archaea Nemea where the archaeological site is. From the sixth to the second century BC the sanctuary here played host to the Nemean Games which attracted participants from all over the Greek world. The stadium on the site once seated 50,000 people and has been restored by archaeologist Stephen Miller and his teams from the University of California at Berkeley. 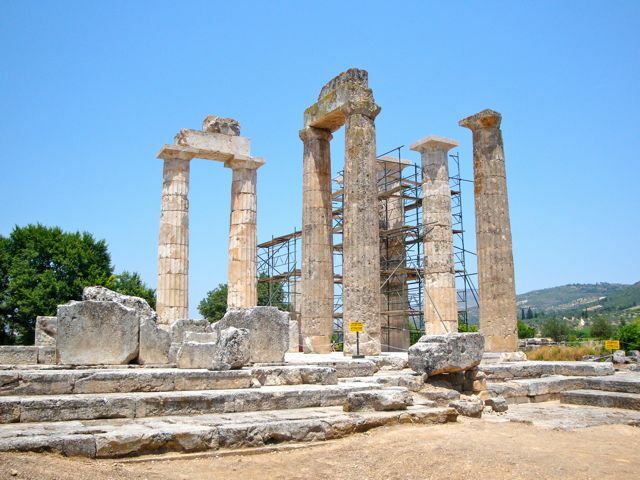 Among other ancient buildings being reassembled is the Temple of Zeus, one of the more impressive ancient temples you will find in the Peloponessos. When Miller found the temple there were just three columns standing. Last time I looked there were nine and hopefully more on the way. The museum on the site is one of the best small archaeological site museums in Greece, well organized and displays explained in clear English. And if you don't understand something there seem to be a number of young people with California accents scurrying around doing the various things that archaeologists do, who are happy to answer questions. Actually the entire site is the cleanest and most organized archaeological site I have seen in Greece with plants and flowers well cared for and not a candy wrapper to be seen in a beautiful natural setting, surrounded by forests and fields and vines. Of course if you take the bus rather than drive it will be a lot more difficult to follow the Wine Roads of Nemea. You can easily get to the first winery on foot from the archaeological site but the going will get harder and your feet will get heavier with each glass of wine you drink and in the end you may need someone to carry you back to the bus stop. If you are coming to Nemea for the wine then the smart move would be to rent a car and have one person be the non-drinking designated driver or else hire George the Famous Taxi Driver. When you get to Nemea there are signs posted showing a map of the wineries. Unfortunately the teenage boys of Argos have spray painted graffiti tags so aggressively that you will be lucky to have find a sign that you can read and will be better off knowing in advance which wineries you would like to visit and ask directions from one winery to the next. Unlike Napa which is enormous in comparison, Nemea is a relatively small area, the farms are smaller and as long as you can hold your wine you can take in a number of wineries. Whether you visit ancient Nemea first when you are fresh or last when after all your wine everything seems profound and poetic, is a personal choice. 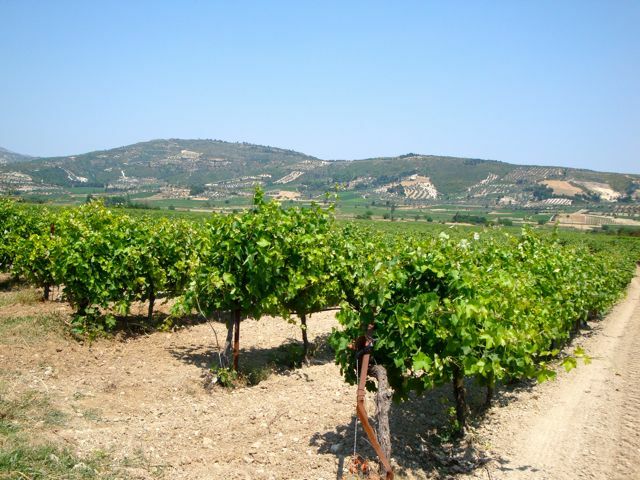 Nemea is the most important winemaking area of the Peloponessos, though you will find grapes grown and wine being made commercially and privately just about anywhere you go. The Agioritiko is the primary grape grown here in Nemea which is red. Among the best known wineries in Nemea is Gaia Wines, whose founders have degrees in agriculture and Oenology and produce several popular wines from their winery in the village of Koutsi in Nemea. Their flagship wine is Gaia Estate and they also have an Agiorgitiko. At Palivos Estate, Nemean George Palivos is third generation winemaker and grows Agioritiko. Domaine Spiropoulos is another well known winemaking family who have been making wine since 1860. 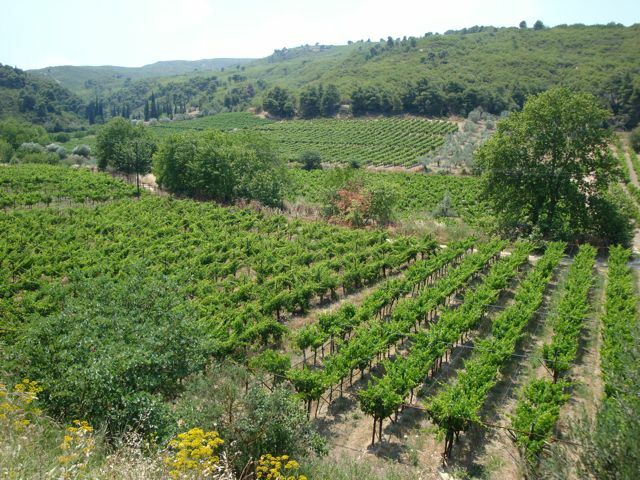 They cultivate around 40 acres of organic Agiorgitiko grapes. Other wineries in the area include the Semeli Winery who make a ros�, a red and tsipuro and have accommodations at the winery, though they are not actually for people too drunk to leave. You have to book them in advance. The wineries closest to Ancient Archaeological Site of Nemea are the Papaioannou Estates, Gofas Family Winery and the Wine Cooperative of Nemea, all of which welcome visitors. There are some smaller wineries which you may stumble upon or even find if you can find a Nemean Wine Roads map that has not been totally defaced. But realistically how many wineries can you visit in a day? Keep in mind that Nemea, like the Argolis, can get very hot in the summer with some days over 100f. So if you want to really enjoy the wineries and the archaeological site go in the off season. Especially in September when they are harvesting and crushing the grapes. Chances are if you are in Nemea it is just for the day and you will be staying in nearby Nafplion or one of the towns on the coast of the Corinthian Gulf. You can find plenty of hotels in Nafplion through Booking.com's Nafplion Site with photos, guest reviews, maps and descriptions. You might also want to see my Guide to Nafplio. If you would rather stay on the sea not too far from Nemea I recommend Daphne's Club Hotel Apartments in Xylokastro. For more hotels in Xylocastro see Booking.com's Xylokastro Page where you can also use the map to search up and down the coast for seaside hotels. 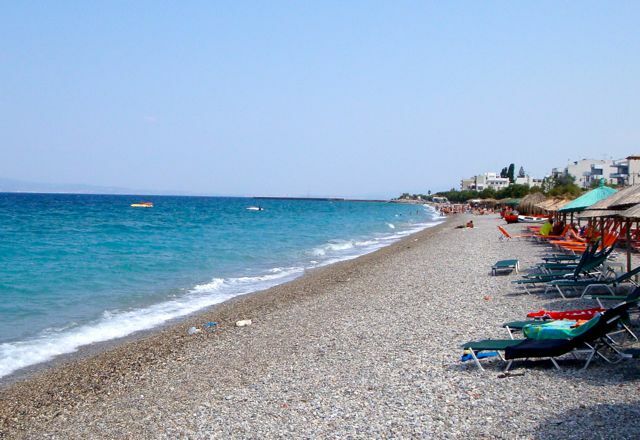 The area is relatively unknown to tourists but very popular with Athenians because it is so close, and there are plenty of restaurants and cafes and shops, and the beaches are quite nice with beach chairs and sunbeds if you want them and empty space if you don't. If you are coming for the day from Athens you can take the bus from Terminal A via Corinth. The 14 505 service operates all year long on 24hour basis. 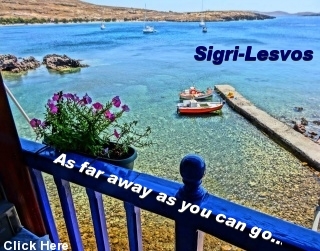 It provides automated information on all the bus itineraries in Greece (from town � to town), and if the user asks for more information such as ticket fares, reservations and non scheduled itineraries, it will connect the caller with KTEL�s switchboard, which in turn will provide the requested services. If it doesn't work the complaint line is 210-8108221. The catch is that you can only do this within Greece. 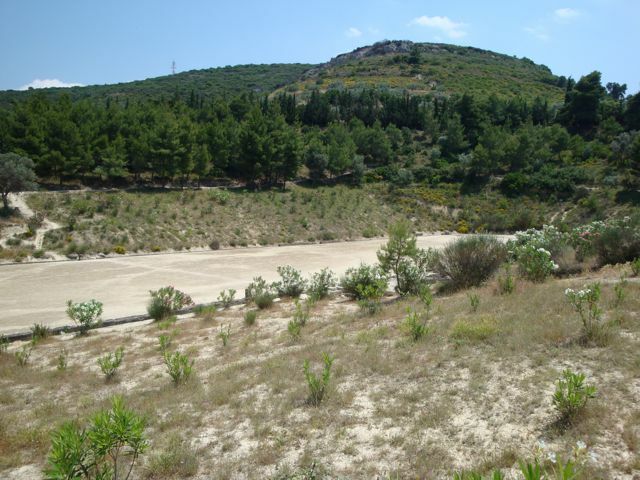 A better option is contacting George the Famous Taxi Driver and arranging a daytrip to Nemea and the surrounding area. Or you can rent a car through Swift Rent-a-Car, but you will want one person to be the designated non-drinking driver. If you like this page please share it with your friends using the Facebook and Google+ buttons at the bottom of the page so that others may find it.